Note: MPs voted November 8 to save the section, though with updated language so it more clearly captures all forms of religious and spiritual services. Leaders of several religious groups appeared before the Standing Committee on Justice and Human Rights in Ottawa October 30 to request that specific protection for clergy and religious services be retained in the Criminal Code. The EFC’s concern stems from Bill C-51, which clarifies the meaning of consent to sexual activity and updates the Criminal Code by removing outdated, redundant or unconstitutional criminal laws. The specific concern is with Clause 14 of Bill C-51, which removes the offences of interfering with clergy and disturbing religious worship meetings. Among the groups represented along with the EFC were the Canadian Conference of Catholic Bishops (CCCB) and the Canadian Council of Churches (CCC). I appear today . . . to convey our grave concerns that Parliament is suggesting that Section 176 of the Criminal Code is no longer required. I would respectfully submit the opposite. More than ever we need to legislate protection for religious communities and services conducted every day across Canada. This is the only section of the Criminal Code that explicitly references protection of religious communities. Members of the CCC are of one mind, however, regarding both 1) the duty of the Government of Canada to respect and protect the Fundamental Freedom of conscience and religion; thought, belief, opinion and expression, and 2) to ensure that there is no preference in the criminal code for a specific religion, but instead to favour a recognition of open and robust pluralism in Canadian society. André Schutten and Tabitha Ewert represented ARPA at the October 30 hearing. Also making a presentation was the Association for Reformed Political Action (ARPA). Removing this provision does not create open season for disrupting churches or any other place of worship. There is other protection afforded by the Code. The removal of this provision will not allow assaults on ministers or violent protests in temples, but the question is how it will impact borderline instances. What about the disgruntled individual yelling as the service starts? What about the protesters who bring offensive signs outside a mosque? When do these activities cross a line into becoming disturbances? Section 176 directs a judge to consider the context: did the alleged disturbance take place in an assembly with a religious, moral or social purpose? Bill C-51 would remove the explicit direction to judges to take the particular setting into account. As it is now, under both Sections 175 and 176, what constitutes a disturbance is a very fact specific analysis with reference to the context. Swearing or yelling on a street corner will likely not be a disturbance, but the same conduct in another setting might be. The benefit of having Section 176 is that it makes clear that protection of assemblies (rather than just the general public) is beneficial. It sends a message that communities should be able to gather for religious, social or moral purposes without fear of disruption either from individuals or disagreeing communities. Furthermore, while we enjoy relative peace between religious groups in Canada, that has not always been the case, nor should we assume that it will continue. The tension between Roman Catholics and Protestants in Canada’s early years might well have justified Section 176. As Canada welcomes more people of diverse faiths and conversations around controversial cultural issues increases tension, it is likely that we will have greater need for Section 176, not less, in the coming decades. While Section 176 might be more symbolic than substantive in the government’s view, ARPA Canada sees much value in keeping Section 176. In a climate where it seems like hostility to religious groups is growing, it is preferable to have explicit protections and to keep Section 176 in the Criminal Code. Go here for the full statement. 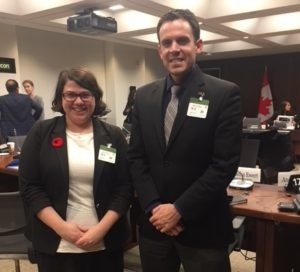 André Schutten, legal counsel and director of law and policy for ARPA Canada, presented their concerns to the Standing Committee October 30; go here for ARPA’s report. 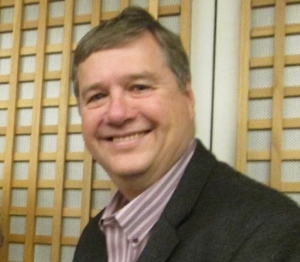 Bruce Clemenger is president of the EFC. Our faith, and every other faith, expresses a specific vision of how life should be lived. For many, it is the ultimate commitment to a divine being or force that provides personal and communal direction to life. And for many believers, part of living out that faith includes gathering corporately with like-minded believers for reflection, contemplation, prayer, communion, teaching and worship. This matters. The specific protection offered by section 176 recognizes that there is something different, distinct and valuable about religious practice. It recognizes that there is a good that is worthy of specific and explicit protection. To remove this protection would erode that recognition, and undermine the value and place of religious belief and practice in Canada. The Minister has expressed concern that the language in section 176(1) is specific to the Christian faith or to Christian clergy. We believe it should be made clear that this protection is extended to all faith communities. First, that Bill C-51 be amended, to retain section 176. Second, that the language in section 176(1)(a) and (b) be amended to make it clear that the specific protection is extended to leaders in all religious communities. Section 176 is not redundant, and it provides unique protection to a unique form of expression. We urge you to amend Bill C-51, fulfill the Charter’s guarantee of religious freedom and maintain protection for the integrity and security of religious worship in Canada. Go here to listen to the full three hour and 13 minute hearing. Over 60 faith leaders and organizations in Canada have signed a letter addressed to The Honourable Jody Wilson-Raybould, Minister of Justice and Attorney General of Canada, concerning the removal of section 176 from the Criminal Code of Canada, as proposed under Clause 14 of Bill C-51, “An Act to Amend the Criminal Code and the Department of Justice Act and to Make Consequential Amendments to Another Act”. 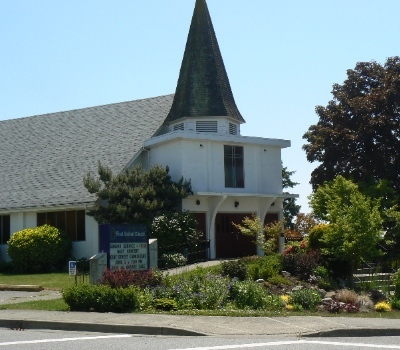 The interfaith letter was co-authored by the Canadian Conference of Catholic Bishops (CCCB), The Evangelical Fellowship of Canada, and the Association for Reformed Political Action. Representatives from a variety of faith traditions have endorsed the letter, including from the Sikh, Jewish, Muslim, Catholic, Orthodox, Protestant and Buddhist traditions. EFC and Catholic leadership make a strong, persuasive and God-honouring case. The present Trudeau government should respect the Jesuit-based values of his father in enabling the modifications suggested. Both Trudeau prime ministers practice a Corporatism ideology which is best summed up in “we know best.” They don’t and they should not tamper with these foundational constitutional protections which are integral to freedom and protection of religion in Canada. The noted Section preserves protection, peace and freedom of speech in Canadian religious institutions and should stand for protection for all faiths. It is arguable that the present provisions require no change as they would be interpreted on equal judicial footing with the religious institutions of evangelical Christianity, Catholicism, Islam, Buddhism, Hinduism, Sikhism, etc. In other words, if it is not broke, do not fix it. Justin and the Minister of Justice should note it is 2017.